People across the globe are now excitedly anticipating the Christmas season, stocking up on all sorts of presents, decorations and treats. Each culture celebrates the festive holiday a little differently, which is why we’re taking a look at 10 of the weirdest Christmas traditions on the planet. Like the sound of no cleaning on Christmas Eve? 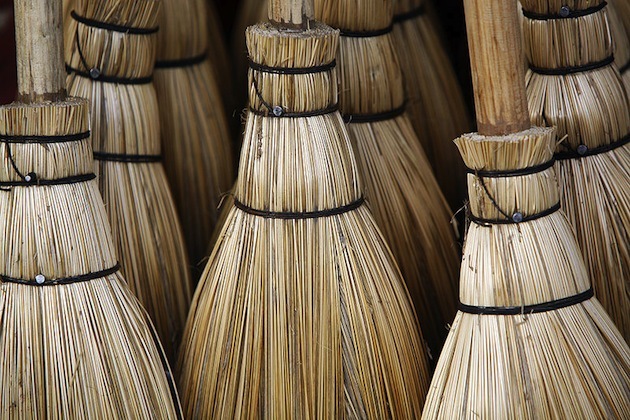 Visit Norway for the festive holidays, as all brooms are safely hidden away in case they are stolen by a witch or an evil spirit. 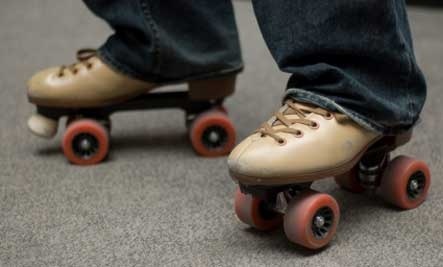 Church is a hoot at Christmas time in Venezuela, as it is now traditional for many Caracas residents to head to Mass in roller skates in the run up to the festive season. 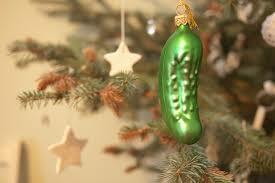 Germans traditionally hide a pickle in the Christmas tree on Christmas Eve, and the first child to find the pickle in the morning wins a small gift. Children also leave a shoe outside of their homes on Christmas Eve, which is later filled with sweets. Naughty children wake to find a tree branch in their shoe. Unmarried women in the Czech Republic stand by their front door and throw a shoe over their shoulder. If the toe of the shoe is pointing towards the door when it lands, they will be married within the next year. Christmas is all about spending quality time with our loved ones – which is why Estonians will head to the sauna with their families on Christmas Eve. 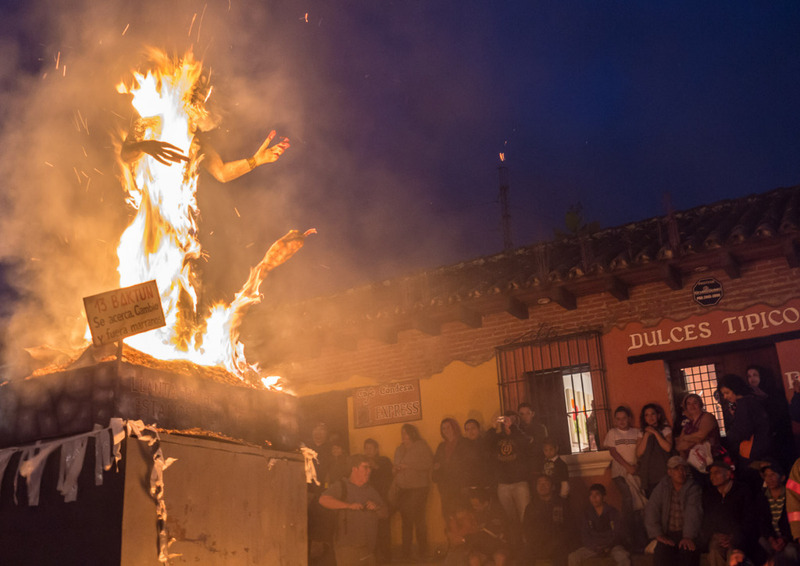 Guatemalans will sweep their houses before Christmas, so each neighbourhood can create a large pile of dirt, and will then burn an effigy of a devil on top of it. Portuguese families will set extra places at the dinner table for deceased relatives during Consoda – a traditional festive feast in Portugal. The practice is thought to provide the household with good fortunes. 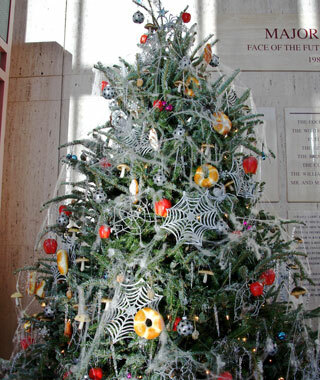 Ukranian Christmas trees are commonly decorated with artificial spiders and webs, which are believed to bring good luck to the home. The tradition originated from the tale of a poor woman who couldn’t afford to decorate her tree, but awoke on Christmas morning to find a spider had covered it in a sparkling web. 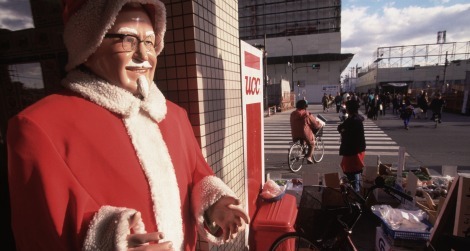 Thanks to a very successful advertisement campaign 40 years ago, traditional Christmas dinner in Japan is KFC chicken – and families have to book two months in advance to secure their order. 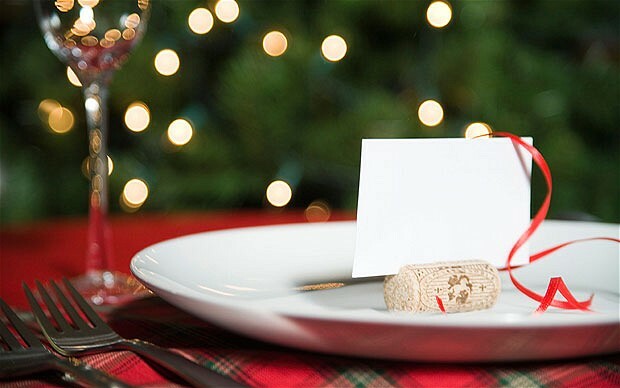 Christmas dinner in Greenland is a little odd, as they commonly eat Mattak – raw whale skin with blubber. That sounds bad enough, right? 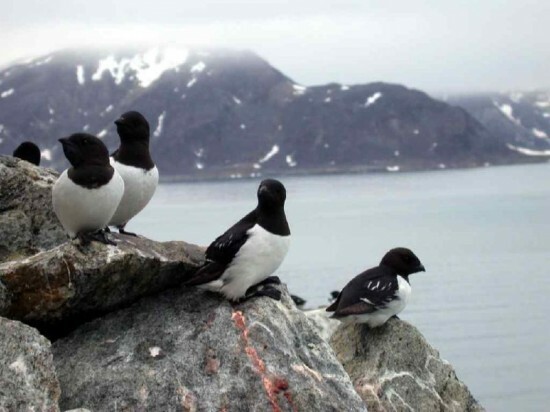 Well, Kiviak is much worse, as it is made from auk (an arctic bird) and is wrapped in seal skin. It is then buried for several months before people consume the decomposed flesh.